Hawaii Native Status: Introduced. This naturalized, weedy, fast-growing shade and reforestation tree is native to tropical Asia and Australasia. 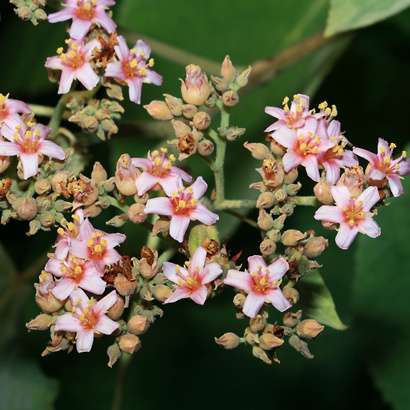 Description: The flowers are in multiple, branched, flat-topped clusters at the branch tips. The individual flowers are small and have 5 blunt-tipped petals and 5 stamens. The flowers are followed by grooved, 5-celled seed capsules containing winged, wind-dispersed, brown seeds. 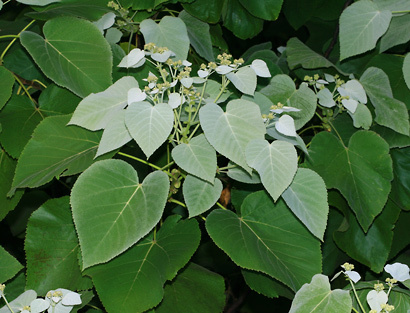 The leaves have toothed margins and are light gray when young, light green when older, alternate, petiolate, stellate-hairy, and heart-shaped. The bark is fibrous and can be used to make string or rope. The wood is soft and deteriorates quickly after being cut. 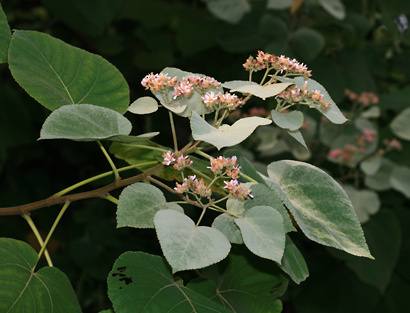 These shrubby trees have a rounded growth form, and in forested areas, they stand out from the other trees due to their paler, silvery green foliage. 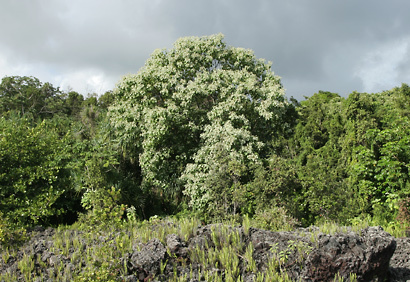 Melochia grows in pastures and second-growth forests and is very common near Hilo, Hawaii, where it was planted after a large fire in 1928.